Scaffolding for 250 West 81st Street on the Upper West Side has been completely dismantled. The exterior limestone and brick curtain wall at the corner of West 81st Street and Broadway fully stands out in the sunlight. 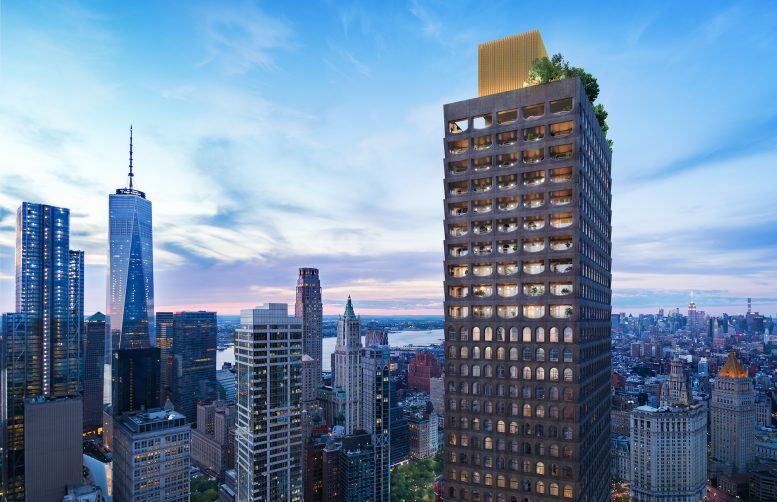 The 209-foot-tall residential tower is designed by Robert A. M. Stern Architects and developed by Alchemy Properties while Stribling Marketing Associates manages sales. 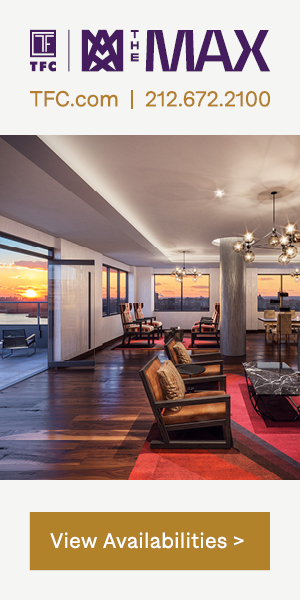 The 18-story structure yields 31 condominiums, averaging 2,700 square feet apiece. 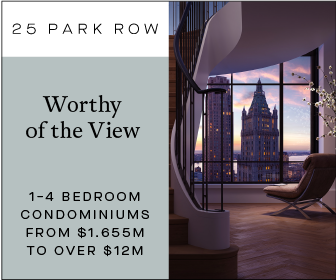 There are two- to five-bedroom units with prices ranging from $3.8 million to $15.7 million. The site is located two blocks from the 1 train at the 79th Street subway station. 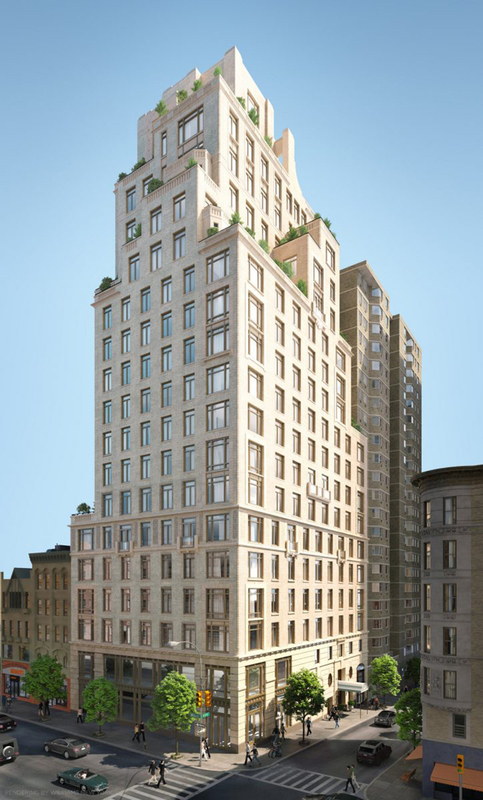 Work on an 85-foot tall residential development at 258 Bowery has topped out. 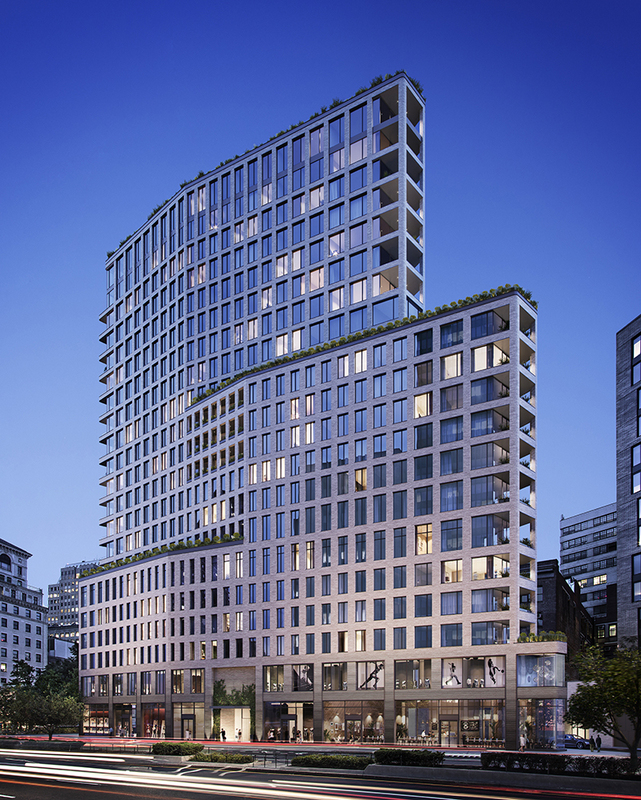 The 3,700-square-foot building, which is being designed by Morris Adjmi Architects and developed by Premiere Equities, will yield 14,611 square feet. 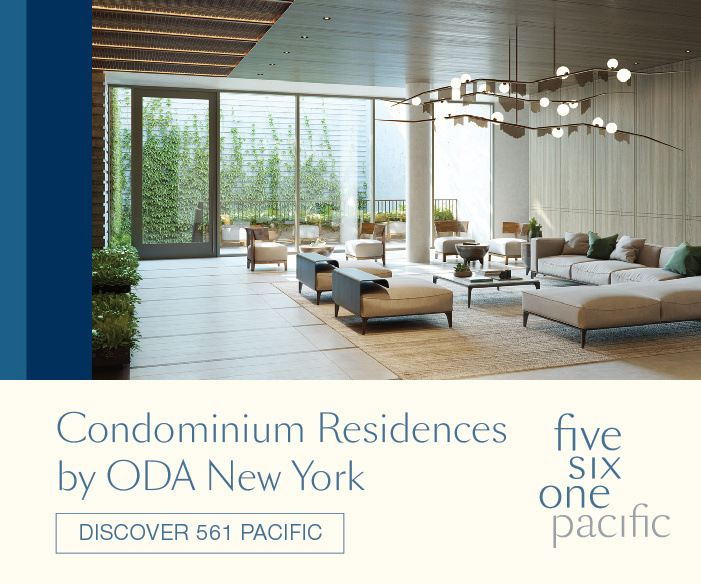 The eight-story structure will contain five apartments, averaging 2,922 square feet apiece. 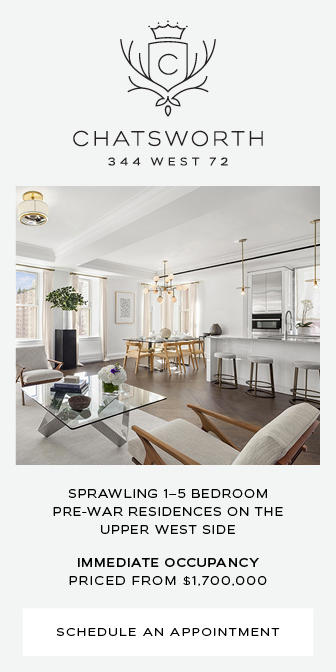 The property is located in Nolita between Houston Street and Stanton Street and sits across from the New Museum. 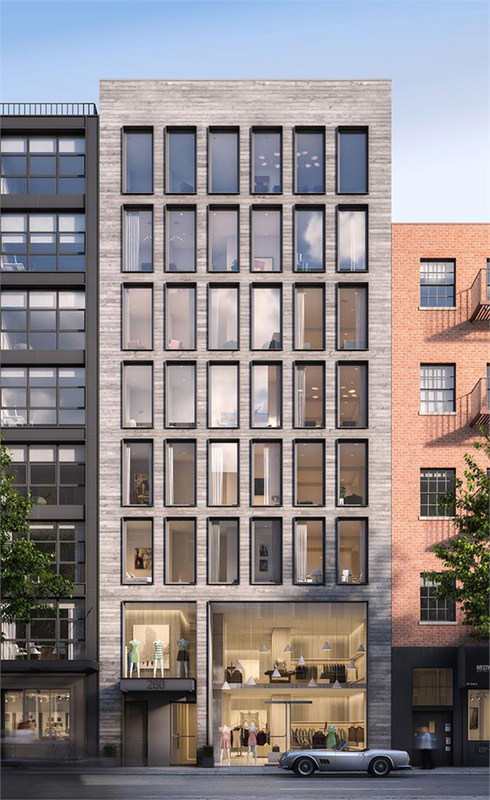 The site, purchased for $10 million several years ago, replaces an old three-story kitchen supply store, as previously reported by Bowery Boogie. 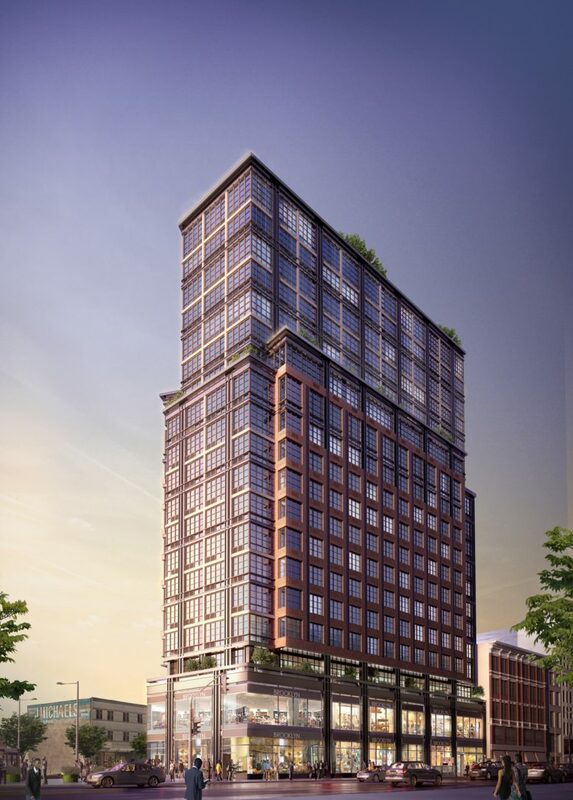 Construction has finished on 1 Flatbush Avenue in Downtown Brooklyn. 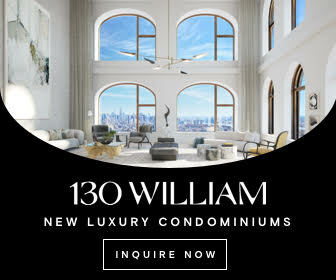 Located at the crossroads of Flatbush Avenue and Fulton Street, the 210-foot-tall building was designed by Hill West Architects and developed by Slate Property Group and Meadow Partners, with Whitehall Interiors responsible for the interior design.